Although famous for their endurance and safety, Land Rovers have to be maintained like any other vehicle if you want them to last as long as specified by the manufacturer. Since you are not a mechanic, you might be under the impression that you can't do a lot. But proper maintenance for the Land Rover Discovery 4 2016 isn’t too difficult, and part of it is knowing exactly when to take your vehicle to service. Since your Land Rover is an investment, you have to do all in your power to ensure that it works properly. If you do, Land Rover vehicles will have a longer lifespan than most other SUVs. Without further ado, we give you a mini guide on how to maintain your Land Rover Discovery 4 2016. Changing the oil and examining the Land Rover Discovery 4 2016 oil fiter is the most important maintenance service. Unfortunately, a lot of drivers don't know when they need to change the oil or what happens if they don’t do it regularly. Land Rover Discovery 4’s engine consists of dozens of moving parts, and engine oil serves as their lubricant. While you are driving, these parts in the engine are exposed to friction because they rub against each other. When oiled properly, the engine and the cooling system will work smoothly. If not, the engine may overheat or some of the parts can get severely damaged. 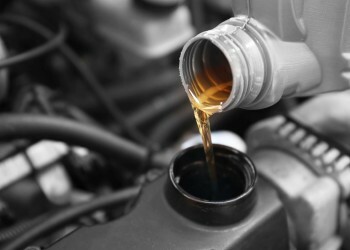 An oil change should be on the top of your maintenance list. You should also examine the oil filter. Fortunately, there is a rule of thumb here. If your Land Rover is a passenger vehicle, you should take it in for an oil change every 7,500 miles. This means that you don’t often drive it on sandy, muddy, and dusty roads, that you don’t go over 50 MPH on long-distance trips, or that you usually take trips that are less than 5 miles. On the other hand, if you push your Land Rover to its limits or it has a diesel engine, you should take it for an oil change every 3,000 miles or 6 months (even if it doesn’t hit the 3,000-mile marker). The most common signs telling you to change your oil are a loud engine, strange smell of burnt oil inside the cabin, and the oil warning light on your dashboard staying on. Regardless of whether you take your Land Rover Discovery 4 2016 on adventures or you just drive in urban areas, you will have to maintain it regularly. Experts recommend that you take your vehicle to service after it crosses 15,000 miles. The 15,000 miles service has a broad scope, as this is a long distance for an SUV, especially if you drive it in severe conditions. When it comes to DIY solutions, there are a few things that you can cross off the 15,000 miles maintenance list. Check your windshield wiper blades and replace them with the appropriate ones, and check your windshield washer fluid levels. Other actions require knowledge and experience, this is why you will need to take your vehicle to a professional. Your vehicle will be thoroughly examined. Experts will check whether your wheels and tires need any attention, and they will check the underside of your Discovery 4 to make sure that there is no damage or suspicious leaks. They will also check the onboarddiagnostic system for internal errors and important system notifications. Since your steering controls are in constant use, they will also check the power steering system fluid levels and make sure that your parking brake and brake system are working properly. Your cabin air filter and crankcase oil filter also collect debris and dirt over time, so these will have to be replaced as well. Finally, your door, drive belts, and exterior lighting will be inspected before your vehicle is handed back to you. Taking your vehicle for a maintenance every 15,000 miles and regularly changing its oil will significantly increaseyour vehicle’slife span and you will be able to feel safe whenever you decide to take your vehicle for a drive. After covering 30,000 miles, your Land Rover Discovery 4 2016 is ready for maintenance once again, even if there are no warning lights on your dashboard and you’ve changed your oil regularly. Besides the actions included in the 15,000 miles service, your vehicle will now go through a more detailed inspection to make sure that all the systems are working properly. This practice helps technicians discover specific issues and prevent major problems from occurring. Since we have covered the best practices regarding regular maintenance, now it’s time to address the problems that can occur between two maintenance services. The rule of the thumb, especially if you don’t know anything about SUVs, is to take your car to a professional in case any of the information lamps become RED. - Battery Charge RED while driving – there is something wrong with the battery charging system or the battery itself. - Brake RED – this one indicates low brake fluid. Don’t drive with this warning because it may cause brake failure. - Diesel Exhaust Fluid RED – it may indicate that there is a system failure, that the fluid level is too low, or that you are using an incorrect fluid. - Engine temperature RED – this indicates that the temperature in the engine is far too high. - Low Oil Pressure RED – switch the engine off as soon as possible and seek professional assistance before driving. 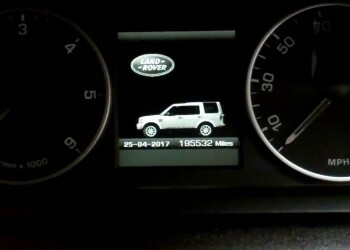 Hopefully, all these tips will help you master the basic maintenance of the Land Rover Discovery 4 2016. Don't forget to change the oil regularly, replace the oil filter if necessary, and take your vehicle in for a maintenance service at the 15,000 and 30,000 miles markers.